The assaults took place in the late 1970s and early '80s. 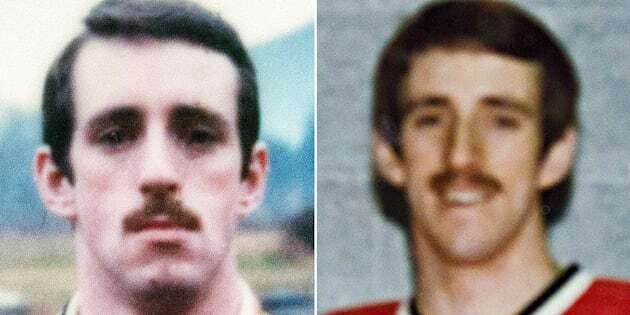 Former RCMP officer Alan Davidson is seen in undated RCMP handout photos. KAMLOOPS, B.C. — A B.C. Supreme Court judge has found a former RCMP officer guilty of five counts of indecently assaulting five boys in the late 1970s and early '80s. Donegan's judgment was posted online earlier this week after she found Davidson guilty of the charges on Dec. 19. In her judgment, Donegan refers to one of the men "visibly shaking" during his testimony, and says another "exhibited what appeared to be genuine emotions of shame, embarrassment and sadness." The defence argued that the complainants' memories were unreliable because of the amount of time that had passed. In finding Davidson not guilty of two indecent assault charges, Donegan said the Crown was unable to prove beyond a reasonable doubt that consent wasn't given. Davidson was arrested in March 2014 in Calgary where he was living and working for Alberta's sheriff services.